ITU has just approved the new Super-Hi format. I expect we will first see TVs with the new format. Any speculations on how long it may take to see consumer products for this format? The 8K format will host a resolution of 7,680 by 4,320 pixels, which is 16 times as sharp as current HD TVs and offers resolutions of around 2MP. This is approximately the equivalent of a 32 megapixel photo. 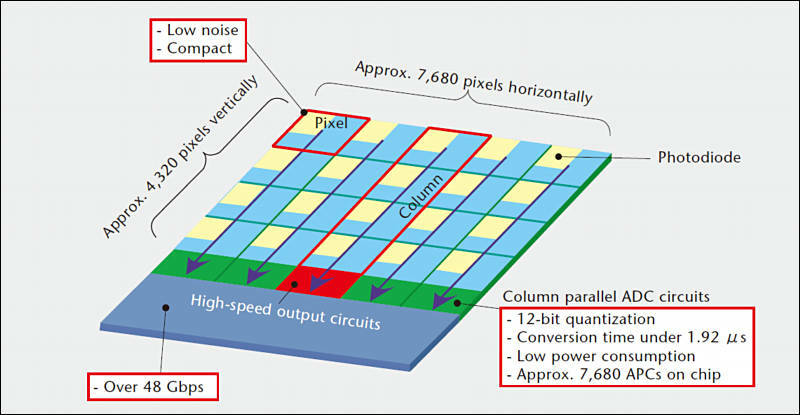 A new high-resolution tv format that is 16x sharper than today's HDTV has been approved. A new high-resolution tv format that is 16x sharper than today's HDTV has been approved. Japanese broadcaster NHK has developed three cameras able to film in this Super Hi-Vision resolution at 120 frames per second. Any speculations on how long it may take to see consumer products for this format? For cameras it'll be very short period :-) As for TVs, it'll take years. Main problem with all this is our eyes. I can understand the implementation for movie theaters, but this is getting ridiculous, whereas, home use is concerned. I do not agree. As such res home wall made from OLED could be pretty standard option in few years. I think a bump in resolution, probably with OLED as Vitaliy suggests, would provide a noticeable bump in quality and certainly there is room in the marketplace. The absence of pixels at distance greater than nose creates a compelling illusion. The most serious challenge with the large 4k sensors is cooling. Some cameras use fans to cool, in the case of BlackMagic Design Cinema (2.5k sensor) they use combination - metal body works as a heat radiator, plus fan. How do you cool 8k sensor in a small-ish rig?! 8K at 120Hz on a roughly APS-C sized sensor! So far, early films like the Wizard of Oz show the film emulsion can resolve more detail than current 4K release copies - and even 6K is not quite enough. So they threw 8K resolution at it for the latest release, and probably final archival version. Newer film stocks since the 1930's employ massively finer emulsions and we can expect higher res digitization formats to follow as Moore's Law makes the processing and storage affordable, then cheap and finally, trivial. I'm watching TV on a 1080p tv right now and I think the thing people overlook is, yeah it's 1080p or 8k but your provider (Dish network, Direct tv, cable, whatever) compresses the crap out of it so your seeing a much lower resolution anyway, I can just imagine watching 8k tv through a 7mbs stream. Gonna take many years for co's like BSkyB and other Satellite Ops around the world to bankrollout 2k let alone 8k. These Sat boxes (Sky in the UK for example) are installed in 8million homes and theyre already at full capacity in terms of broadcast channels in the available EPG (every new bank of 16 transponders on a fresh satellite contains compressed space for around 4-8 channels per transponder). Their HD channels are at best 720p. They would have to rollout a completely new service (launch a few more sats) manufacture/bankroll a manufacturer to make boxes and charge a fortune for premium quality material - imagine over a £100 p/month to subscribe for a small bouquet of 8K channels... and in this climate? Cable co's are better geared for this with fibre optic technology etc... but bandwidth is still at a premium. i) The compression we use these days is pretty crude and designed for processors that have been around for 10-15 years. New maths applied to larger areas and over several frames (if we even use frames in the future) would allow for much greater resolution over the same bandwidth. ii) If they were available 8K sets would drive the development of upscaling boxes. When I was little I saw a presentation on Fractal Compression that could add back 'detail' that was probably there (i.e. it extended the fractal that was used to compress the image in the first place). The results were amazing on material like landscapes. Great now I will need a 15 foot screen to see the benefit of this new format at home. I will need a huge new TV and a bigger house. I think this upgrade is going to cost a lot. LCD monitors that have high resolution and are large and thin in size will continue to be the monitor trend throughout the second half of this year and 2013, accoridng to industry sources. Sources said that monitor makers are proactive in making 21- and 24-inch thin sized monitors at present and are aiming at producing 4Kx2K ones by the end of the year in order to stay competitive with notebooks and tablets. The high-resolution monitors will reportedly be geared towards niche markets in the beginning of 2013 due to their high costs but are expected to come down in price in the future. You can disagree with his conclusions, but I admire the straight talk! Taiwan-based TFT-LCD panel maker Chimei Innolux (CMI) will have 4Kx2K high-definition (HD) panels mass produced and ready for sale by early October, making it the world's first mass producer of the technology, according to company STSP branch president Wang Jyh-chau. CMI has started production of 56-inch 4Kx2K HD panels mainly for medical applications, and will additionally begin production of 50- and 65-inch 4Kx2K HD panels for medical and commercial applications, Wang indicated. Six leading China-based LCD TV vendors have designed-in such HD panels and will soon unveil corresponding TVs for launch in the forthcoming peak sales period in early October, Wang pointed out. CMI will compete for orders for such 4Kx2K HD panels from Japan- and South Korea-based LCD TV vendors, Wang said. The production of 4Kx2K HD panels is for product differentiation in the second wave following the offering of TV panels of two new sizes, 39 and 50 inches, in 2011, Wang indicated. 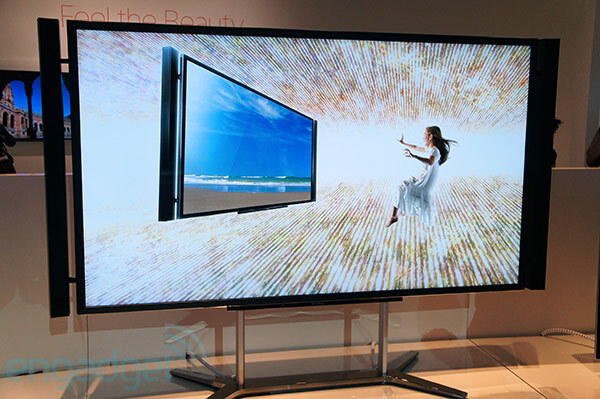 Monthly shipments of 39- and 50-inch TV panels will exceed 2.0 million units in the third quarter of 2012, Wang noted. In addition, CMI began production of 58-inch TV panels, another new size, in August 2012, with a 5.5G glass substrate cut into two such panels at using nearly 95% of the substrate, Wang pointed out. I saw a demo of the Super Hi Vision system at the BBC in London a few months ago in preparation for the Olympics. Some of the demo was impressive, final space shuttle launch and a concert recording felt closest yet to being there with pin sharp visuals. Otherwise the rest of the demo was fairly dull and not shot well at all. It just goes to show that talent and film making skills are much more important than pixel resolution. I look forward to nature documentaries in this format however. Well It's good to get the standard out there early, even if it doesn't happen for many years for the consumer space, at least there is less chance of divergent standards. This will be great for theatre, and I don't see it being at mass consumer prices for many many years. They have to milk 4k first!